Do You Like to File? 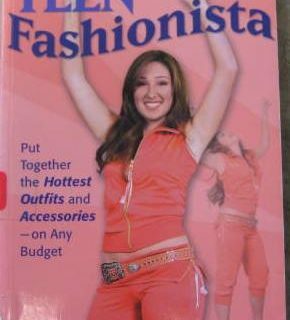 Submitter: I worked in a large city public library for about 2 years where I located this relic of 1980’s maternity fashion. Patterns for Pregnancy is an interesting concept: sew your own maternity clothing for a fraction of the cost of buying new clothes. 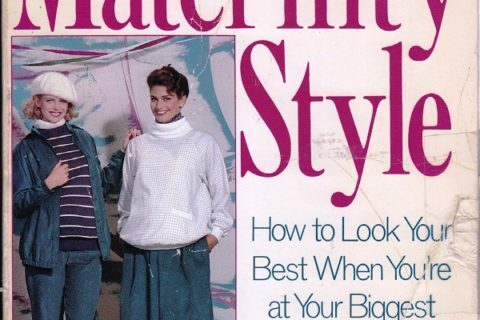 While the concept is a good one and there has been a recent resurgence in the DIY movement, I can’t imagine any modern mom checking out this book and wanting to create these fashions for themselves. I was unable to find a modern equivalent to this concept. 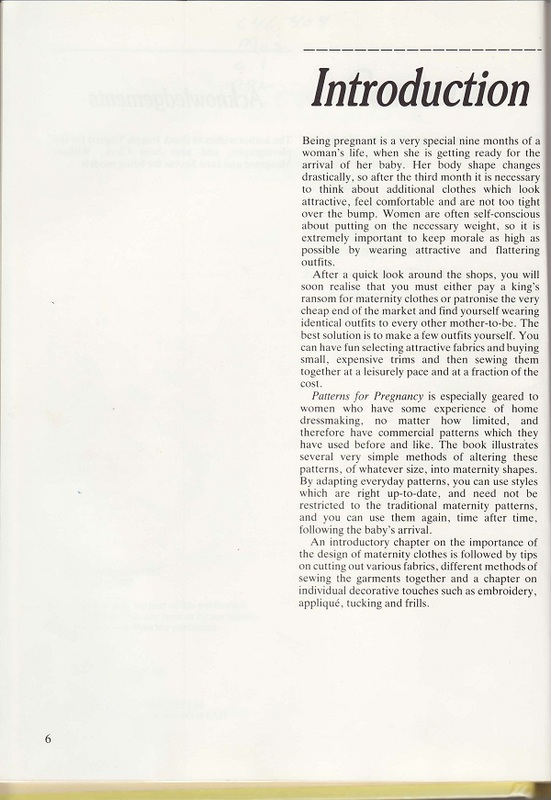 There are a ton of sewing books out there but none specific to maternity clothes. Due to the outdated fashions in the book, and relatively low circulation statistics it must go. Still, the models and fashions are highly entertaining and it’s a good reminder of how far maternity fashion has come! Holly: Maternity fashion trends have come a loooong way since the 80s! In fact, these days it seems more fashionable to show off your baby bump than to cover it (and I support that!). Pinterest links to all kinds of good maternity sewing sites. If your library has a Pinterest account, you could create a board for maternity sewing if you don’t have any books readily available. 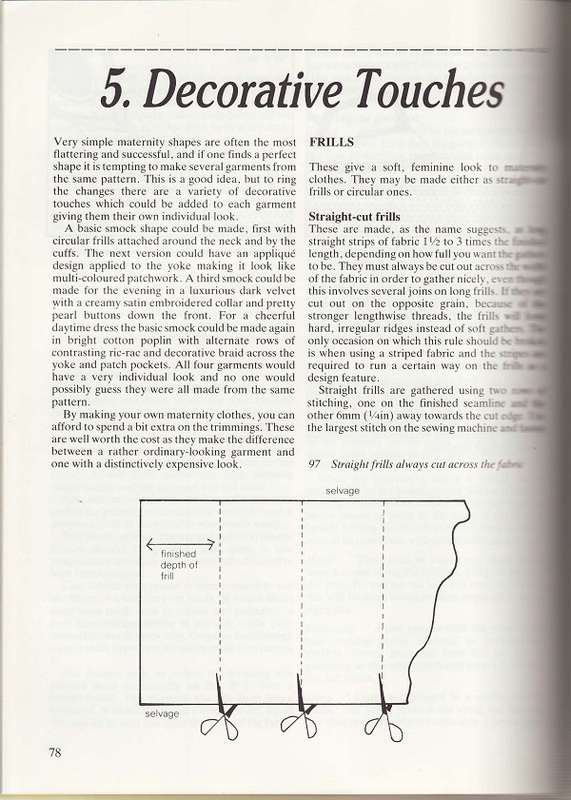 Let’s take note, though, that people who are good enough seamstresses to even consider sewing their own clothes, maternity or otherwise, will probably be able to take the patterns in this book and turn them into something a little more fashionable. They just need the pattern for aThe problem is, they might be so turned off by the cover that they won’t even pick it up to give it a try. Part of library browsing for a topic like this is in the inspiration, and this book isn’t very inspiring. Verdict: it’s not the worst thing, but there are better options. Previous Post:Do You Like to File? 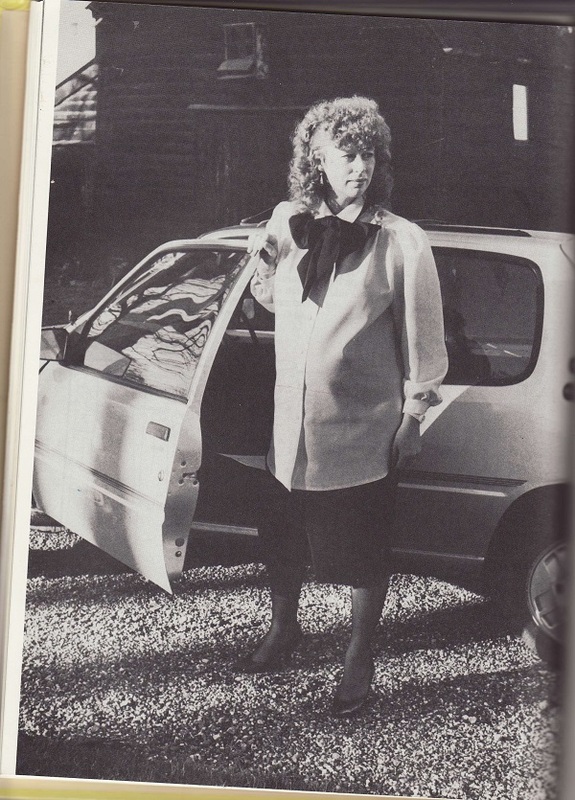 Is that Helen Mirren with an 80s perm? Why would any pregnant woman wear a jumpsuit? I’ve never been pg, but don’t you usually have to go to the bathroom frequently? And that kind of outfit would have to be taken off almost completely in order to go! OMG! You are right! Those don’t look like her legs or feet! Pregnant fashions for a Yeti? Wendy – you are correct. A jumpsuit is a horrible idea for pregnancy wear for exactly the reason you suggest. Not to mention the contortions to struggle in and out of it when one is suddenly so ungainly – no, no, no. The perm on that first model is truly epic. And I am so glad I never had to wear any maternity clothes that looked like this. 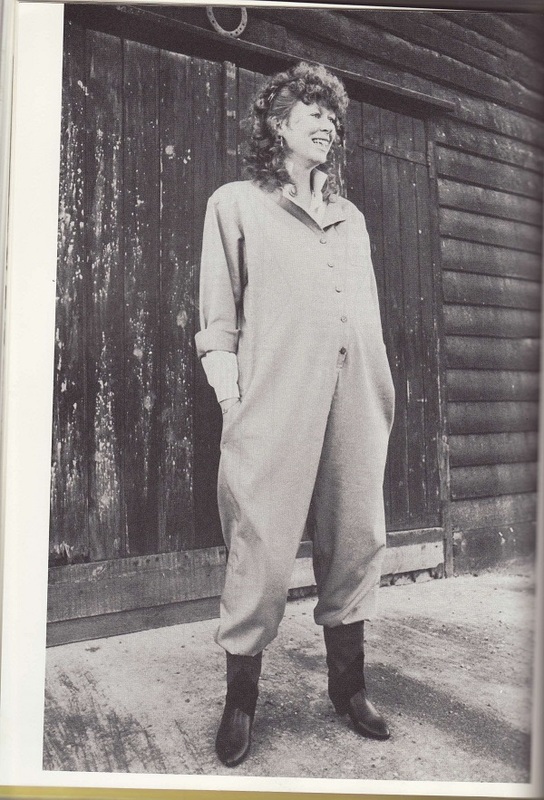 Agreed that the jumpsuit is very impractical as frequent peeing is par for the course during pregnancy, at least during mine (I developed an intimate relationship with every public toilet in town, no matter how disgusting they were. It wasn’t pretty). As for those summer dresses/nightie things, I doubt I was the only pregnant woman for whom going braless was literally a pain. The book’s intentions are good, but…wow. Haha, Wendy, I had the same thought! 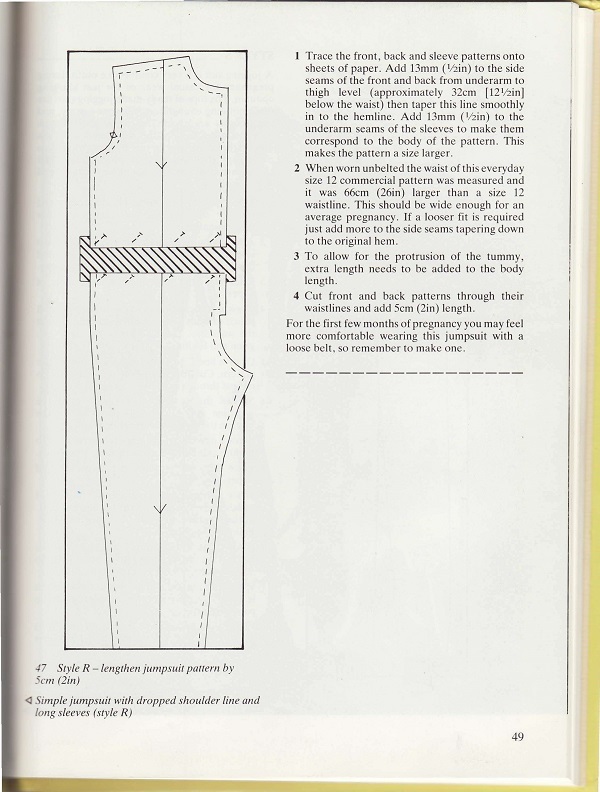 I’m assuming there’s hidden flap for easy access sewn in the jumpsuit pattern. 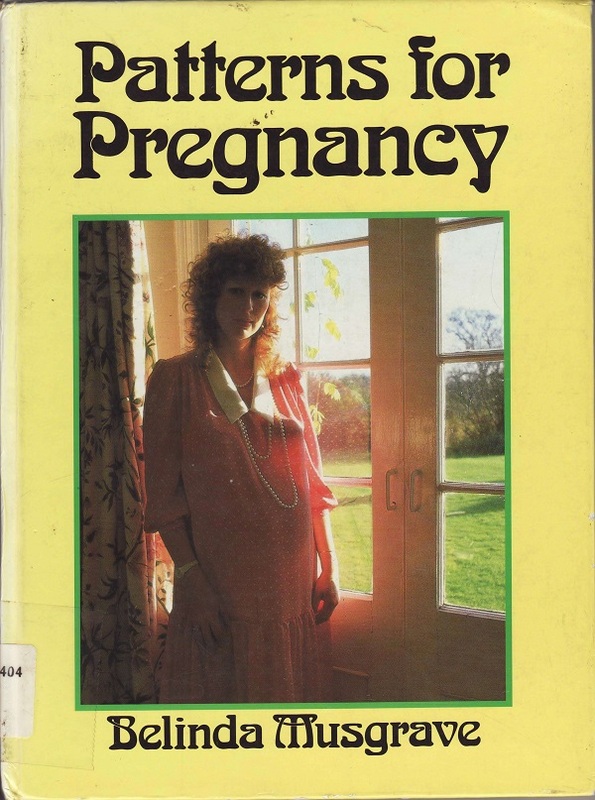 I was pregnant in 1981 with my first and did sew my own maternity clothes. After that, I didn’t have time to sew anything but Halloween costumes. Never had fancy jumpsuit though, nor did I want one. I think you left out some words there. Their approach to maternity wear seems to be “tent + giant bow = dress”. WOW. My mother was a 44 year old bank bookkeeper, when pregnant in 1975. I remember the ridiculous, little girl type styles she had to choose from in the maternity shops. She would have had more mature options if she had saved her maternity clothes she wore in the 60s; but who knew? 🙂 I’m so glad that women no longer have to look so regressed while pregnant. I’m surprised no one noticed (or, at least, commented upon) the little fact that not only is she wearing a onesie while rocking a truly unfortunate mullet/perm but she also found the time/strength to tuck in the legs of said onesie. I would think when you’re pregnant it would be awfully difficult (or at least awfully impractical) to bend over and neatly tuck your pant legs into your boots.